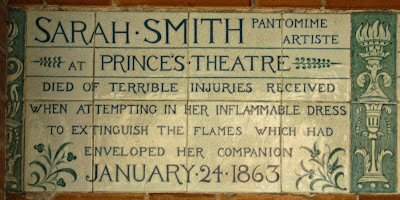 Watts Memorial to heroic self-sacrifice: the stories behind the plaques. Postman's Park is a rather special place: a small haven among the office blocks near St Paul's Cathedral, it is also home to the Watts Memorial. Established by Victorian artist G F Watts, it is a monument to 'ordinary heroes' who died saving others. Each plaque tells the story of one such act of heroism. 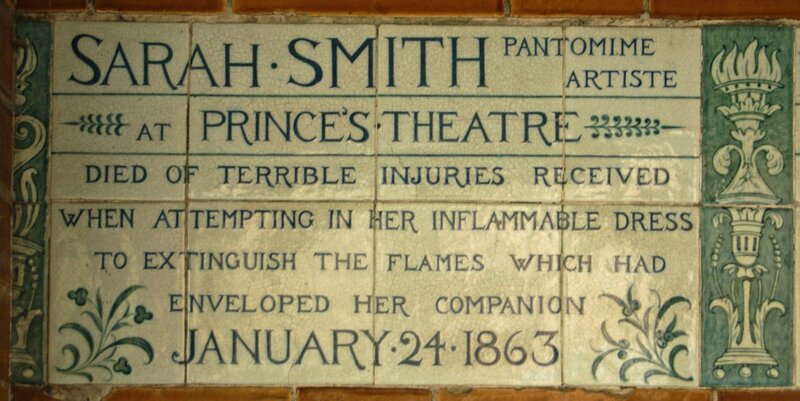 In 2016, I updated the series which originally ran in 2008-9, looking at the stories behind the plaques on the Watts Memorial - including the first new one for over 70 years, added in June 2009. This page offers an easy way to explore those plaques, with an index of names as well as listings by theme. On Heroic Self-Sacrifice is an in-depth article from Past Imperfect, the Smithsonian's history blog. 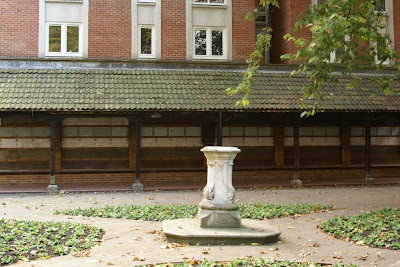 Postman's Park by John Price looks at the history of the memorial, and Heroes of Postman's Park explores the lives commemorated. There's also an app, Everyday Heroes, which allows you to engage interactively with the stories while at the memorial. GF Watts and his wife Mary also created an art gallery and cemetery chapel in the village of Compton, Surrey. 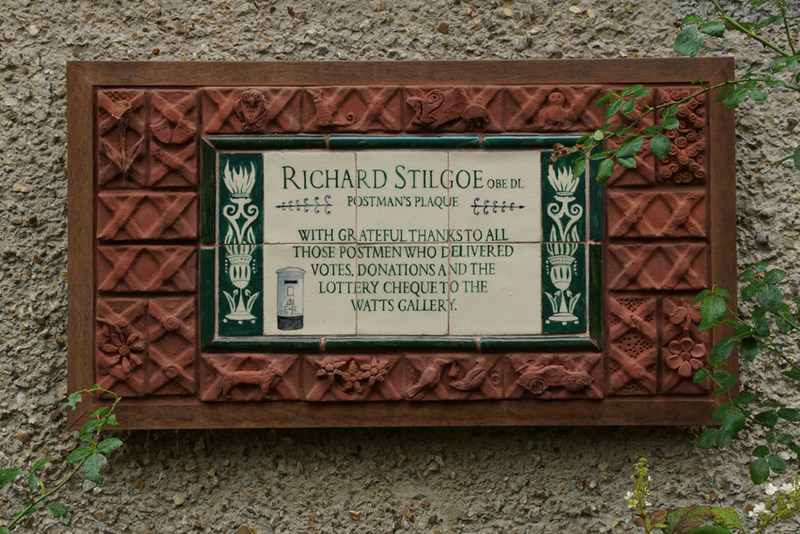 It even has its own Postman's Park-style plaque! Thank you so much Caroline for your amazing facts! I am having such an interesting time reading about postman's park. Thank you! And thank you, Anon! I'm glad you like the page and articles. Searching for info on AJJ Ayres, sculptor, my eye was caught by an entry in DNB "Alice Ayres, domestic servant and heroine". Top of the list alphabetically, I hadn't realised how Alice Ayres had influenced the creation of the memorial. Moved by her story, G.F.Watts wrote to The Times (5 Sept 1887) , "proposing that a record of ‘heroism in every-day life’ would be an appropriate commemoration of Queen Victoria's golden jubilee. ... and cited Alice Ayres's act as a prime example of the type of heroism he wished to commemorate." Thank you for your articles - I have a distant relative who lived in Carrington House in Deptford, and your article was a great primer in how the building came to exist. 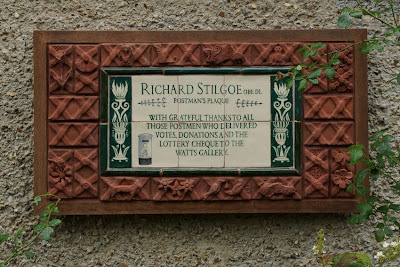 As an aside, I lived directly over the road from postman's park for several years. Our living room looked out over the park and the memorials, and I'm glad someone else is as fascinated by them as we were. A wonderful piece of work and will make sure it is noted on my blog for those who wish to investigate this extraordinary memorial further. I note that you have not investigated the latest plaque to Leigh Pitt. It has caused some consternation among City Guides as to why this particular person. I can only find detail of planning permission in a summary search. Thank you! There is a post on Leigh Pitt, although I seem to have left it off this index - I'll correct that now; meanwhile, it's here.